If the last five days have taught us anything, it is that the web of Olympic selection is still some way from disentangling. The identities of the nine men and seven women who will represent Great Britain on the track in London are still as shrouded in mystery as they were a week ago. Performance director Dave Brailsford is a man with many headaches. Bradley Wiggins and Lizzie Armitstead are among the outstanding endurance riders who will need to choose between the indoors and the outdoors next August. The new regulations for London 2012, reducing team sizes and forcing certain riders to cover more than one event, will require an impossibly delicate juggling act. A nice problem to have? Not when dreams and careers are in the balance. Over the course of this week, Britainâ€™s elite cyclists and coaches will hold a series of meetings to discuss Olympic options. 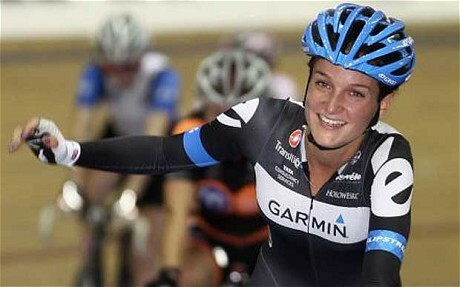 At these the immediate futures of the likes of Wiggins and Armitstead will be decided. The emergence of Germanyâ€™s Tony Martin as the worldâ€™s outstanding time-trialist appears to be nudging Wiggins towards the track, but for Armitstead, a genuine gold medal prospect in road race, team pursuit and omnium, the issue is more complex. The 22 year-old from West Yorkshire was at her very best in claiming the national points and scratch titles at the weekend, but the clink of metal will have suppressed, not softened, the pain of a week ago. A tearful Armitstead missed out on a chance of gold at the road world championships when she was held up by a crash. Her form here only demonstrated what she could have achieved in Copenhagen. Armitstead is at a crossroads. The track offers a surer shot at medals, but she has unfinished business on the road. â€œAt the moment, I could [do both],â€ she said. â€œBut in 12 months, the team will be going too fast for me to be a road rider as well. Iâ€™ve got a meeting on Wednesday where Iâ€™m going to discuss that. Meanwhile, Brailsford believes that Sir Chris Hoy is in his best form since the 2008 Olympics. Hoy has endured a comparatively lean time since winning three gold medals in Beijing, but stormed back at the weekend, on Sunday adding the team sprint title to his keirin and match sprint golds. â€œIâ€™m more impressed with what Iâ€™ve seen here than anything Iâ€™ve seen in the last three years,â€ Brailsford said. â€œHeâ€™s got the hunger back. You can see heâ€™s a different guy at the moment.